Taking a break is something I RARELY do. I am always plugged-in answering calls, emails and writing. (As of this publishing, I still need to finish 4 articles and 6 blogs – not to mention my JOB needs me to focus on 58 things too!) Well, for the next two weeks, I am taking a break and I’m forcing my family to tag along. We are unplugging and getting away from it all. Well, mostly. By the time you read this, we will be hours away from boarding a plane to Hawaii for much needed R&R. The best part is that this is a family affair – me and the hubby, my hero Jeff, and daughter Lauren with her husband Ryan. These are the most important people in my life and I just cannot get enough of them. We are all SO busy. TACA always seems to travel with me. 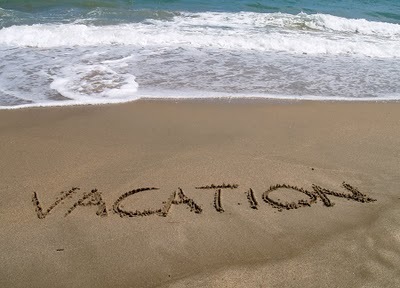 Vacation time is a perfect time to reflect, start the strategic planning process, and get TACA to the next level. In between days of rest, relaxing, one TACA meeting, and a few pina colada’s with umbrellas in them, I will be brainstorming for our next important steps. To TACA families everywhere – this is just a reminder. You HAVE to remember to do something for YOURSELF and if not today, then in the very near future. It can be something simple – grab coffee with a friend, stare at a flower for 10 minutes, get that manicure/pedicure, or go on a “man” date. You can also watch a PG or R rated movie that features real people (no cartoon characters!) while holding hands or simply breathe in your surroundings rather than racing through them on your way to the next appointment or therapy session for your kid. Breathe……It’s good for you. Life is already full of jam-packed schedules and long to-do lists before you throw living with autism in the mix! It’s important to refuel and recharge. 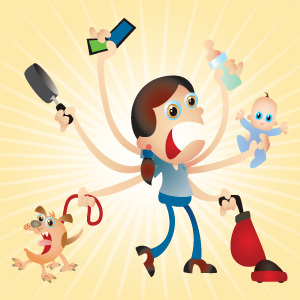 Babysitting –it’s a beautiful word isn’t it? Go back to your trusted family and/or friends, the ones that get the challenges of autism and ask for help. It doesn’t need to be for a week, maybe just for a few hours. Don’t be afraid. It’s summer for our kids and they get a break. You should get one too. Better yet, plead. Get that off your to-do list! If you are a friend or family member who loves a child living with autism and you are reading this, please reach out and offer a little love and support to the parents. It is a wonderful gift, it won’t cost you any money and it will be greatly appreciated. As for me, well… I’ve gone fishing. I will be connecting with those I love, refueling, recharging, doing a lot of planning, thinking AND enjoying life with my family. I will be back to tackle the mile long to-do list later this month. For sure. Love this Lisa!!! Have a Beautiful & relaxing vacation! XOXO!! !